Prime piece of land with building permit to build up to 308 m2 villa located in NATA Village – one of the most unspoilt areas in Paphos region. Ideally situated with easy access to the Paphos – Limassol highway. Paphos International Airport and Mandria Beach is only 10 minutes drive away, and 15 km to Paphos Town. This superb location offers beautiful views of the Mediterranean sea and surrounding countryside whilst being close to three championship golf courses – Secret Valley, Aphrodite Hills and Geroskipou Golf club. 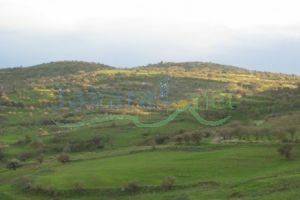 This area is a very quiet peaceful agricultural village suitable for anyone who wants to enjoy both the old traditional and peaceful Cyprus yet remain close to all amenities. It is a short drive from facilities such as – schools, banks, tavernas, coffee shops and supermarkets. 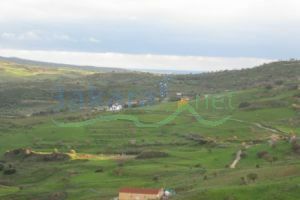 The land has an area of 3000.00 m2 with a building density of 10% and a Building Permit for a luxury villa is already granted This is an excellent opportunity to build your dream family home or investment property.